Any business considering cloud computing to support its customer-facing Web applications must look beyond the cloud's cost savings and scalability and evaluate how cloud adoption will impact the end-user experience. 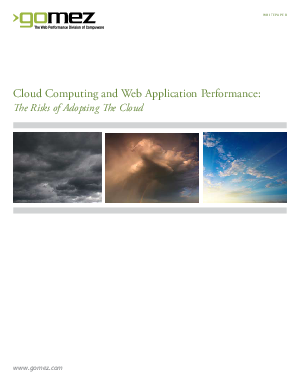 This whitepaper addresses the Web experience challenges companies must address when adopting the cloud. It offers perspective and best practices to achieve world class Web performance and assist in the evaluation of cloud providers and development of cloud performance SLAs. Web performance, the response time or speed at which services are delivered to an end-user, is a critical metric for any organization since today's end-users, whether business or consumer, expect ever-increasing speed and complex, media-rich web applications.